Chris "Ludacris" Bridges has signed with CAA for representation in all areas, including music, acting, endorsements and philanthropy. 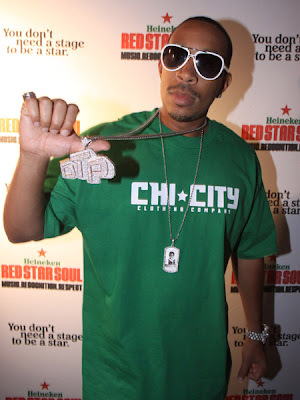 Musically, Ludacris has sold more than 15 million records in the U.S., and he runs the record label and music production company Disturbing Tha Peace Recordings with partners Chaka Zulu and Jeff Dixon. As an actor, Bridges has appeared in such films as "Hustle and Flow" and "Rock N Rolla," and he next appears as an actor in the Gerard Butler action vehicle "Gamer," which Lionsgate will release on Sept. 4. He's in negotiations with MTV, Starz and BET to develop and produce scripted and reality TV series that include the docu-reality series "Inside DTP." He has consolidated his representation at CAA, which will also rep him for endorsements. He is thriving in that department as well, with deals in place with AT&T, Puma, Pontiac, Pepsi. He is launching a TAG fragrance with Procter & Gamble, and he developed Conjure, a cognac that Bridges developed with Birkedal Hartmann.